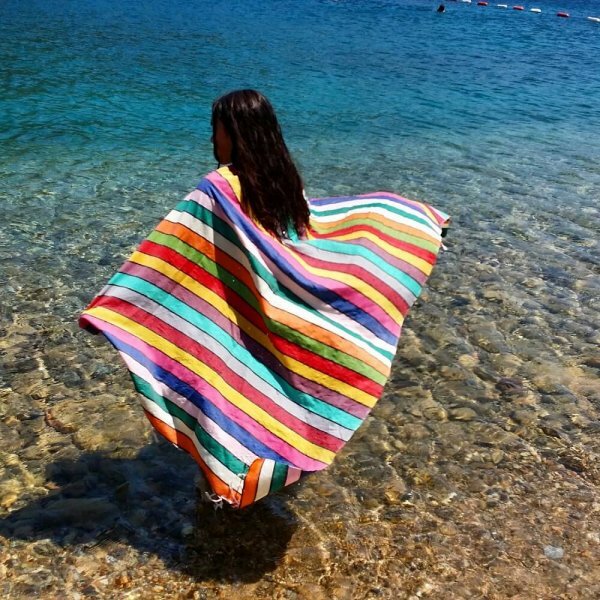 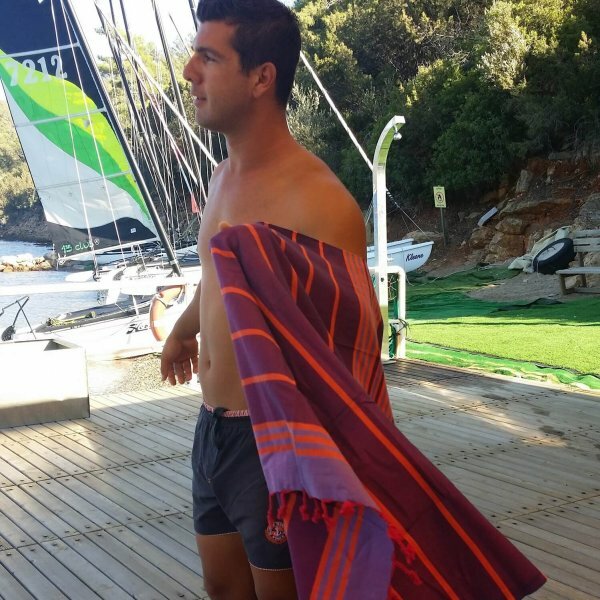 Hammam beach towels are ultra lightweight and stay sand-free. 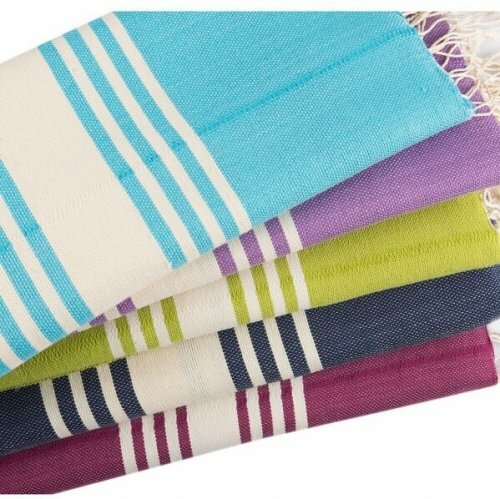 They are perfect for beach holidays and other outdoor adventures. 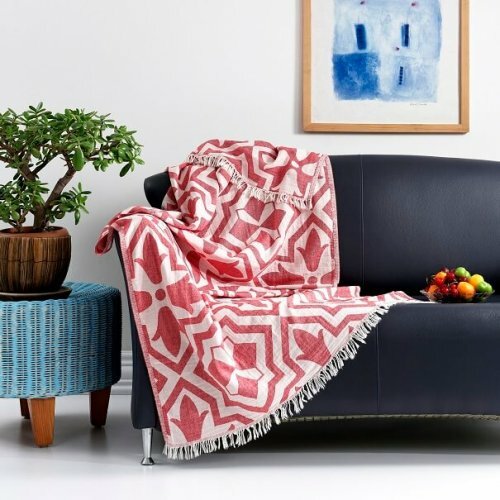 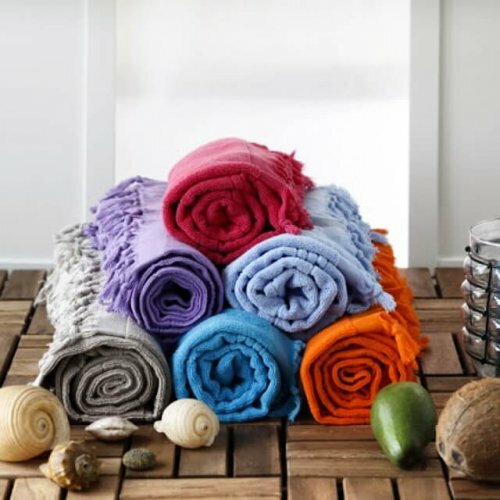 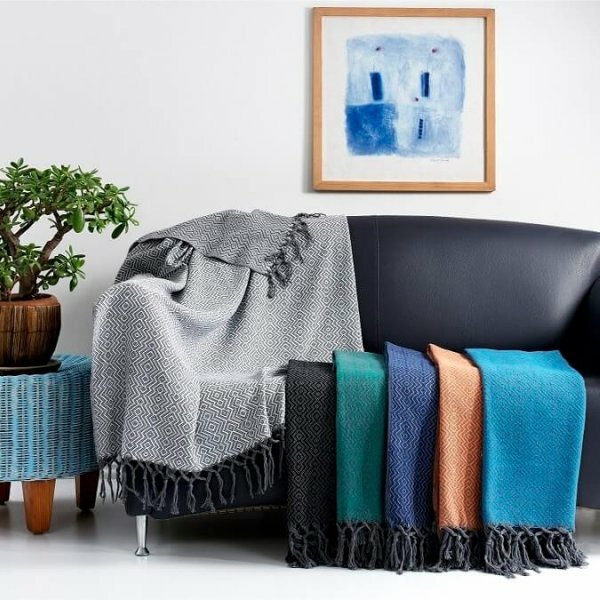 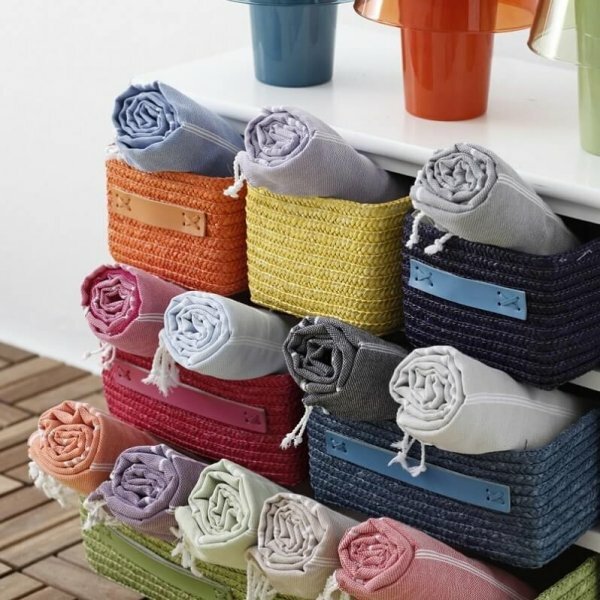 Being totally flat-woven with no pile, these hammam beach towels are compact, extraordinarily absorbent and quick-dry. 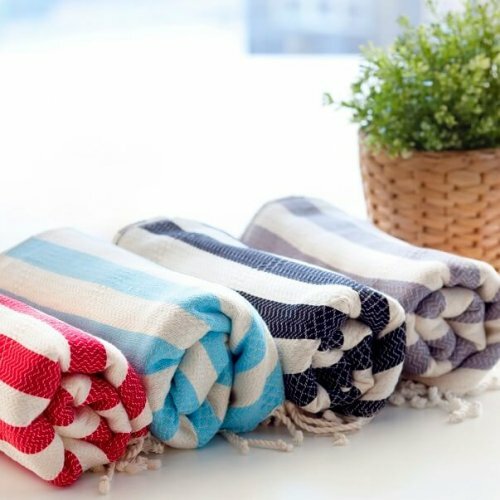 They are perfect travel companions. 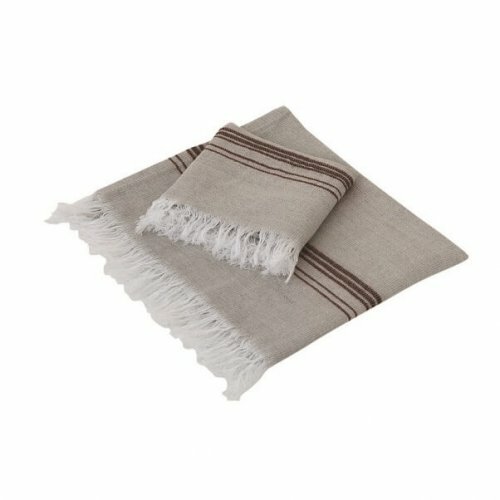 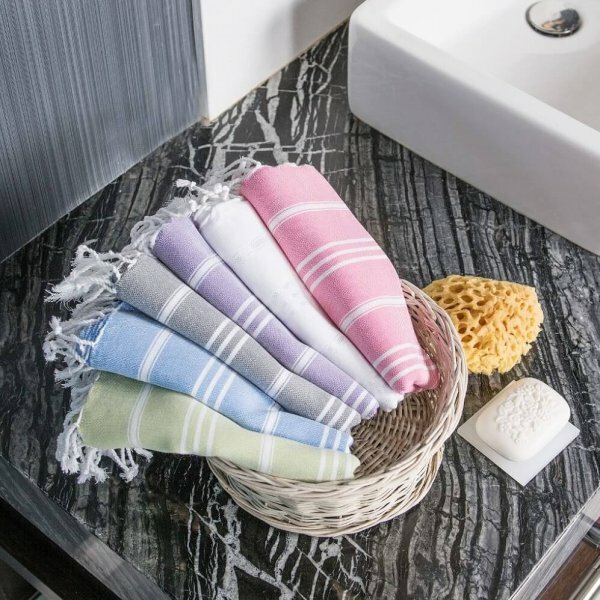 Hammam peshtemal towels are extremely versatile. 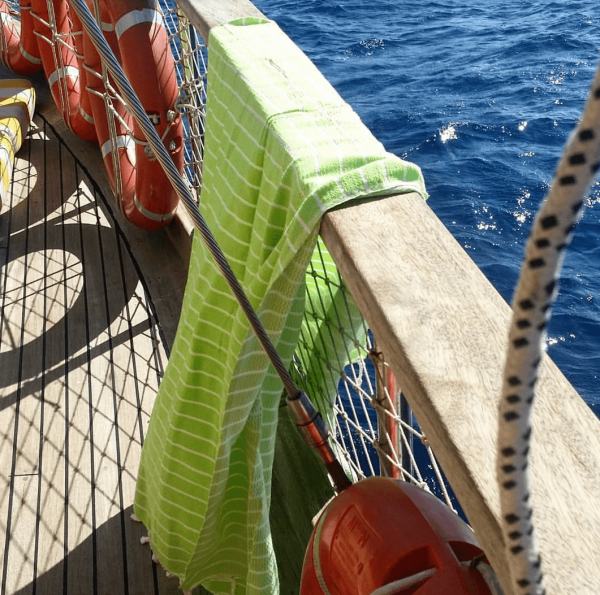 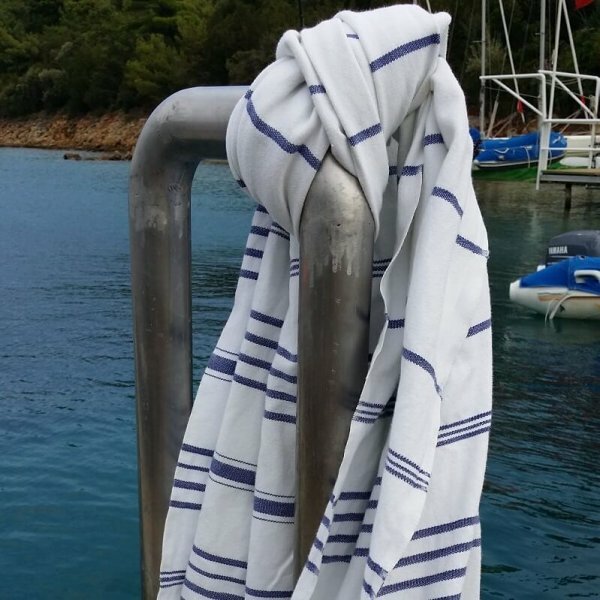 Besides using them as a towel for drying, you can also wear them as a beach sarong, spa wrap or a modestly cover whilst travelling. 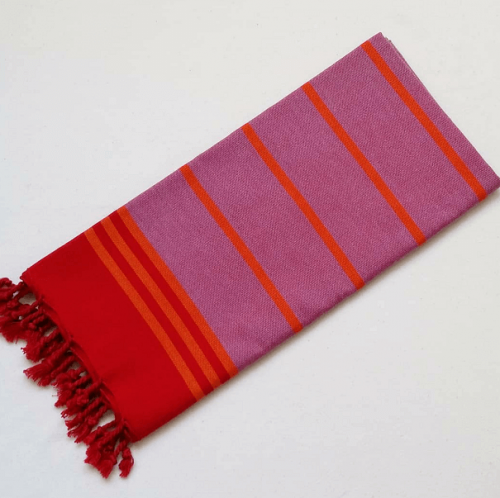 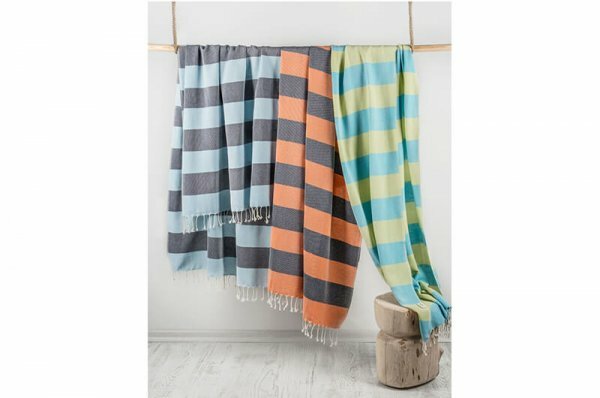 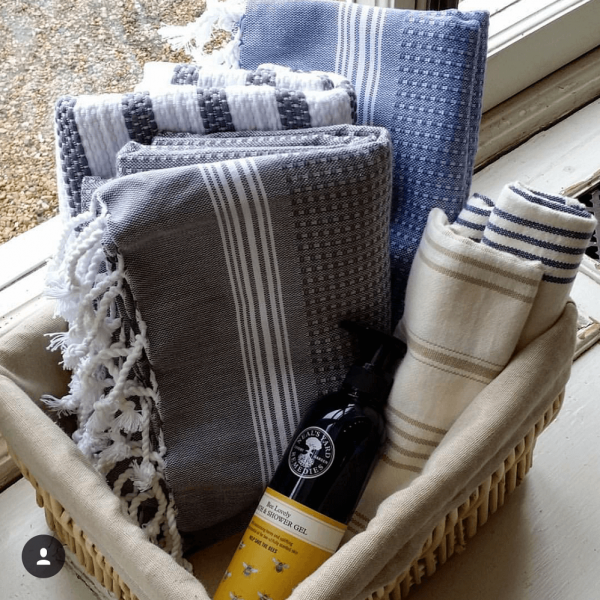 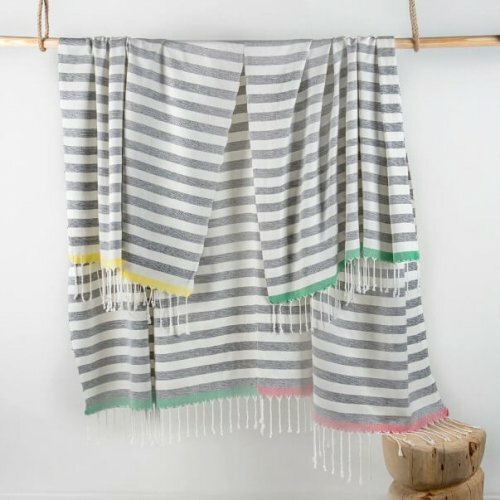 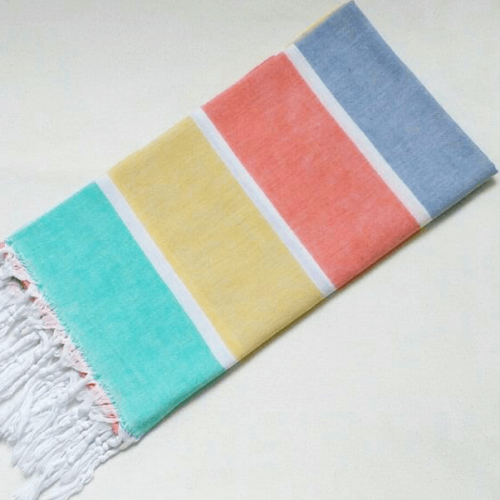 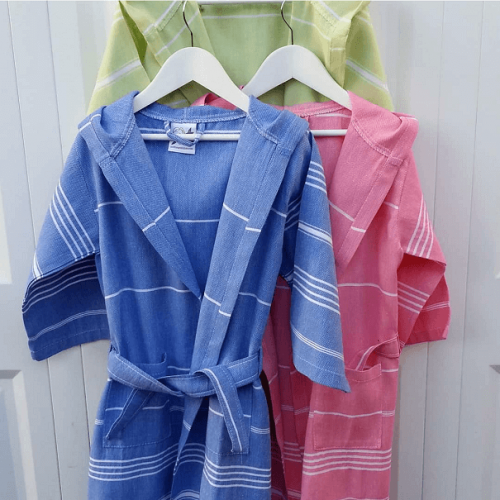 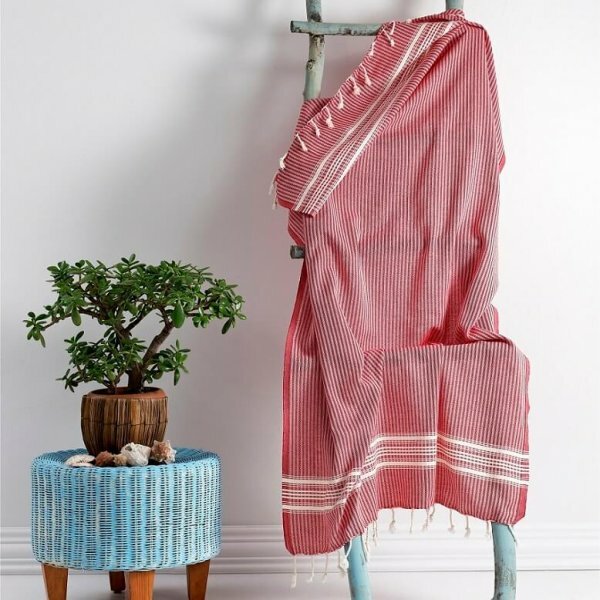 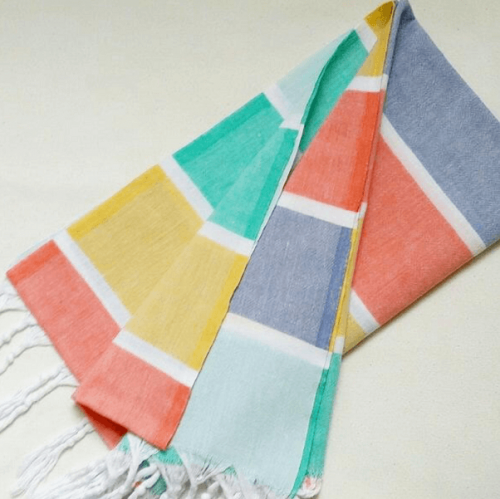 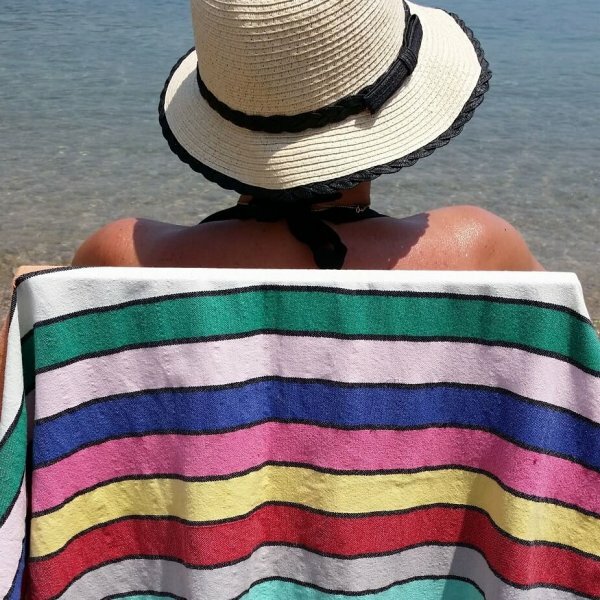 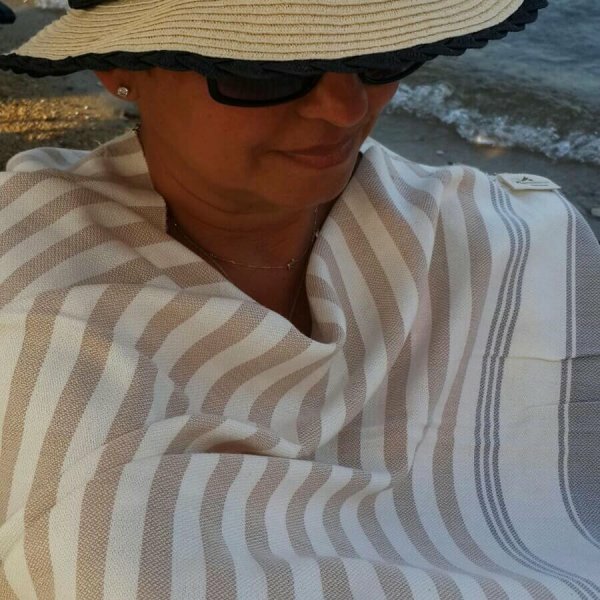 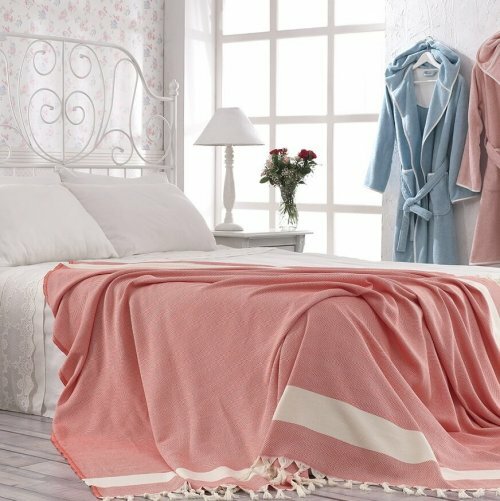 Peshtemal beach towels have the average weight of 300 gram and compact enough to roll up nicely to fit any small space available in your luggage or handbag. 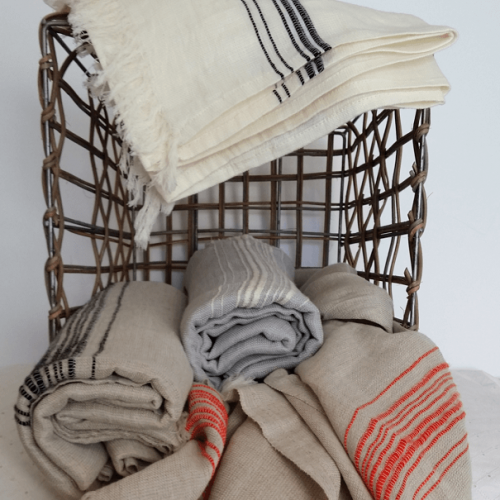 Hand-loomed in Turkey, they are 100% natural fibre with no synthetic blends. 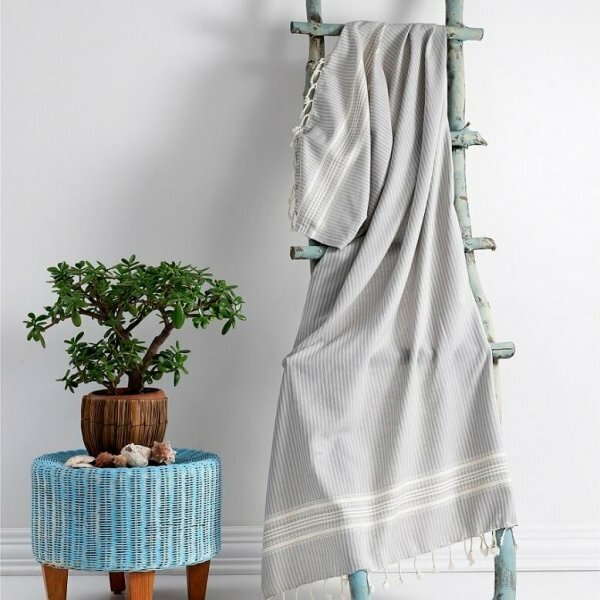 We love cotton and bamboo fibre and we love blending them together. 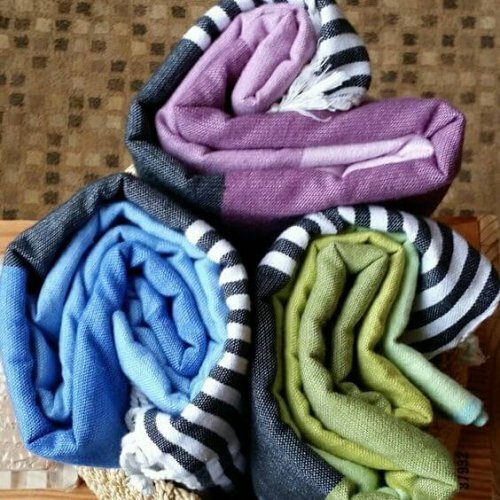 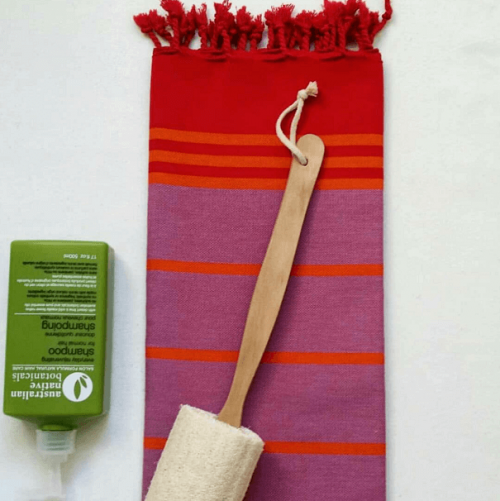 You can go to here to see our bamboo towels blended with cotton. 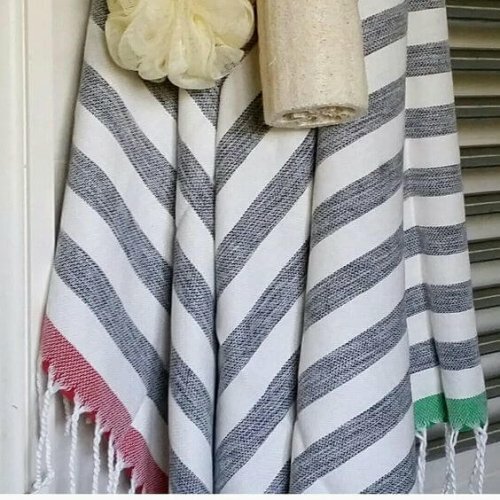 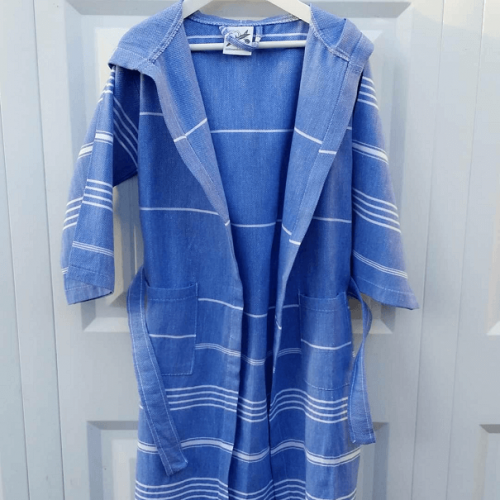 You can learn more about peshtemal by clicking in here.